Wednesday marked a busy day of political argument between lawmakers and NASA administrator Charlie Bolden, with a notable focus on the battleground of providing required funding for the Space Launch System (SLS), Orion and the Commercial Crew effort. Lawmakers stressed concerns about funding being taken away from SLS to boost the Commercial Crew account. The Hearing opened to gushing praise for NASA from Senator Nelson, noting how the International Space Station (ISS) was now into its utilization mode as part of the National Laboratory goals, while the transition from the Space Shuttle to the “safer” inline systems would increase safety for astronauts who would benefit from a Launch Abort System (LAS). However, Senator Nelson – who flew on STS-61-C with Columbia – did acknowledge the vital flights of Endeavour on STS-134 and Atlantis on STS-135, noting the final flights of the shuttle was carried out to “perfection” – despite the large amounts of the workforce being aware the conclusion of the program marked the end of their careers. Senator Hutchison also noted optimism about the future, but cited concerns with the actions of the Agency under General Bolden’s stewardship, claiming his “actions don’t seem to be following the words” when questioning his implementation of the 2010 Authorization Act in respect to the outlines in the FY13 budget proposal. The Senator’s opening remarks laid the foundations of what became a heated conversation at times about the $850m request for Commercial Crew, which General Bolden noted was a required amount to avoid slipping the opening flight of a domestic crew launch capability past 2017, as is currently threatened. Most of the lawmakers – at the two hearings General Bolden attended – stressed extra money for Commercial Crew should not come out of the SLS or Orion accounts, once again setting the battle line between the flagship programs. However, the NASA administrator appeared to hold his ground, claiming his “passion” for SLS and Orion, noting the Heavy Lift Launch Vehicle (HLV) uses a lot of systems NASA engineers are very confident working on – giving him “confidence which” may not manifest itself as “passion” – due to the Shuttle Derived commonality. General Bolden then stressed the absolute need to support Commercial Crew, not least because for every year the Agency is without a US crew launch capability, NASA has to pay the Russians $450m a year for seats on the Soyuz vehicle for ISS crew rotations. The Senator’s concerns were based on recent experience, after watching the Agency drag its feet over officially announcing the SLS, causing additional delays to the development roadmap. Such delays resulted in what continues to be claimed as the worst case scenario of launching the first SLS in 2017 (Exploration Mission -1 – EM-1), only to be followed by a four year gap until the second launch – the first with a crew – in 2021. 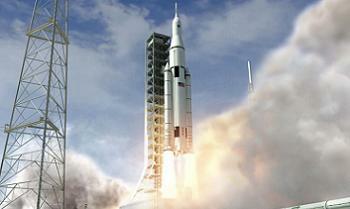 As reported by this site, efforts are being made to launch the second SLS – either EM-2 or a cargo mission – in 2019. General Bolden appeared to acknowledge this drive, claiming teams will be evaluating the schedule this year, which may result in the second launch moving to the left. 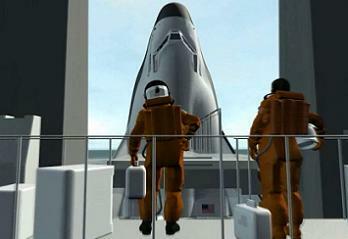 The main concern, however, was the amount requested for Commercial Crew in the FY13 budget proposal. The Senator then questioned General Bolden on potential solutions to Commercial Crew funding, asking if there’s a need to have multiple companies gaining from Commercial Crew funding, when the down-select will result in some of those partners failing to provide the ultimate service of American domestic crew capability for NASA. “If I had made an earlier decision to go with one of the two companies that were believed to be competitors for Commercial Crew, Boeing would not be in the competition right now,” responded the NASA head, adding that he had to change the acquisition strategy due to the funding levels. General Bolden also noted that the current situation sees NASA as a partner with the commercial companies, who gain a set amount of funding, and pay for the additional development costs themselves, whilst paying for NASA staff to evaluate their performance from within the companies. He added that the moment they enter into a contract with one or – as preferred – two companies, the entire bill goes to NASA. Contributing as a partner will save NASA money in the long run, while required funding levels will increase the quality of the product, the NASA administrator claimed. 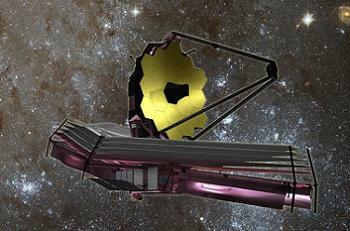 Notably, only one lawmaker – in the second hearing – referenced the massive cost overruns of the James Webb Space Telescope (JWST), which appeared to be immune from criticism during the first hearing, especially in reference to its role in the funding issues relating to the “priority” programs of SLS, Orion and Commercial Crew. General Bolden once again defended the telescope, claiming that the project is now on cost since the large scale changes into its managerial structure and processes were implemented. 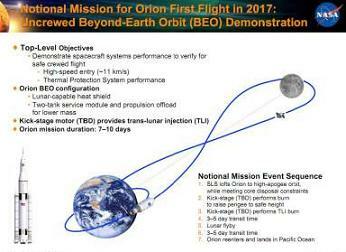 The second hearing also failed to provide any insight into the ongoing roadmap evaluations for SLS and Orion, with General Bolden repeating the previous sketchy details about a Near Earth Asteroid mission in 2025, to be followed by the ultimate goal of a Mars mission in the mid-2030s. These comments do not match the internal evaluations into the roadmap (via L2 – Link to L2 Section), which are now discussing – in depth – an Exploration Gateway at L2, with an eye on Lunar Surface missions. An article will follow on this continuing and recent increase in evaluations.